After the show’s sell-out performance at the West End Festival, Glasgow, Take a Walk on the Weill Side is coming to the Voodoo Rooms, Edinburgh on 24th March, 2019, for two performances only, before taking their show on tour to Europe. Kurt Weill was the greatest showman of his time, writing songs of biting satire and wit with Bertold Brecht. 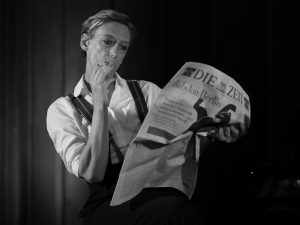 This one hour ‘underground cabaret’ is set in 1939 Berlin with the songs of Weill, woven into a strange tale of Romance, Rejection and Revenge. The multi instrumental ‘Schadenfreude Band’ are led by Musical Director and arranger Karen MacIver. 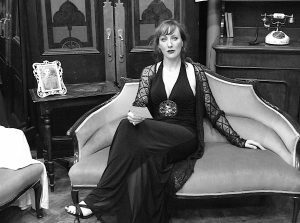 Karen, a British Academy of Songwriters (BASCA) winner and celebrated chanteuse, Taylor, are delighted to collaborate again in this German Cabaret-style show of the 1930’s.